Christophe Plantin worked here from 1583 to 1585. One day in July of 1601, in Florence, early in the morning, we imagine two men shaking hands, embracing and saying goodbye. Both knew it might well be the last time they saw each other. The older man climbs into a coach bound for his home in distant Antwerp and signals the driver to begin his journey. That man, Emmanuel Ximenes, had been in Florence to visit his sister, Beatrice, his brother, Niccolò, and several other relatives living in the area. Antonio Neri first met the wealthy banker at the home of Beatrice and her husband, Alamanno Bartolini. The priest lived there after his ordination and, according to nineteenth century historian Francesco Inghirami, functioned as house-master. Both men wished for more time together; they shared a fascination with alchemy and with the work of Swiss-born physician Paracelsus. They had become fast friends and formed a bond that would last until the end of their lives. Neri would ultimately make the journey to Antwerp, but not for another year. That winter he became quite ill in Pisa, postponing his planned visit. Finally, on 2 May, his friend wrote: "Praise God that your indisposition has ended." By the following spring the two men were reunited and Neri would spend the next seven years in a city that was in the eye of a storm. The low-countries (what today is the Netherlands and Belgium) were in the midst of a bloody civil war. The port of Antwerp was blockaded by the Dutch fleet and the countryside was being ravaged by troops from Spain and the Holy Roman Empire. The population of Antwerp was a shadow of its former self, but the city was left untouched by both sides, in an accord of political convenience. It had been burned and pillaged as recently as the 1570's, but by the early 1600's Antwerp was simply too valuable a jewel to be sacrificed. Emmanuel's immediate family was among the wealthiest in Antwerp and strong patrons of the arts. 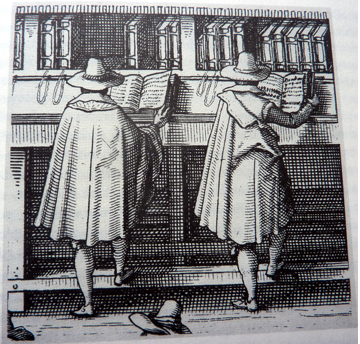 He counted among his close friends humanist printers Christophe Plantin and Jan Moretus. Other branches of the Ximenes family topped the social ranks in Venice, Hamburg, Lisbon and Florence. Their ancient ancestors were kings of Pamplona, Navarre, Castile and Aragon. Emmanuel's father Rodrigo headed the prestigious Ximenes (Jiménez) Bank in Antwerp. By the end of his visit, Neri would present the prince of Orange with vessels of his chalcedony glass. This post was first published here, on 6 September 2013.